Wash and quarter loquats, removing seeds. Combine loquats and water and cook until tender, about 15 minutes. Sift dry ingredients together, then stir into loquats. Cook over medium heat until mixture thickens, remove from heat and cool. Prepare pastry for an 8 or 9 inch pie plate. 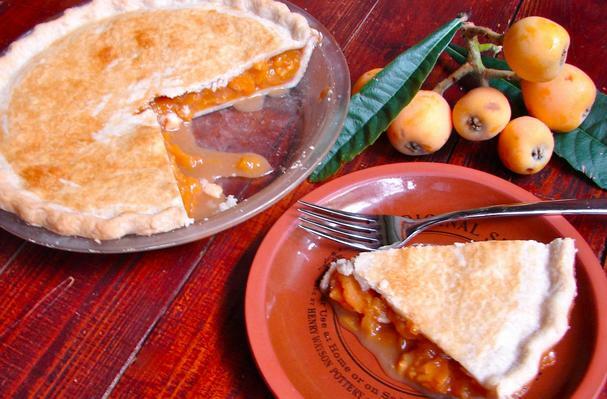 When loquat filling is partially cooled, pour into pie dish containing bottom crust. Cover with top crust and bake at 450:F for 10 minutes, then 350:F for 30 minutes.